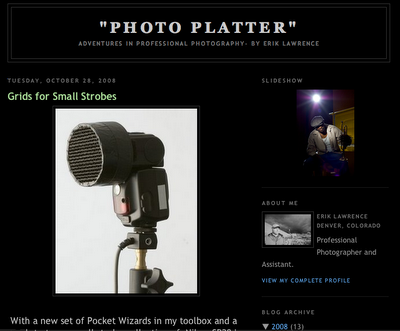 My assistant Erik Lawrence, has been blogging about making grids for small strobes. His been blogging for a bit, this is worth looking at if you like DIY projects. Check it out.